Voice over WiFi is being opposed by all telcos, except Jio and BSNL. Jio’s Vo-Wifi launching in January? Vo-Wifi or Voice over WiFi is the next major technological advancement in the telecom sector. Using this, consumers don’t need a SIM to make a call – It can be done via WiFi, hence called Vo-Wifi. As we had reported earlier, Jio is working on their own Vo-Wifi service, and testing has been doing the rounds. But now, some solid evidence of this has been observed. As per industry rumors, Jio’s Vo-Wifi can be launched as soon as January 2019. 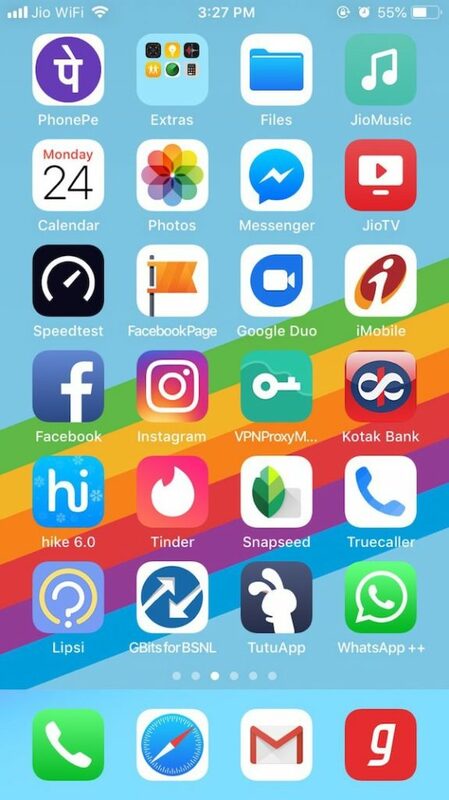 One telecom user from Gadarwara, Madhya Pradesh, accidentally caught signals from Jio’s own Vo-Wifi service, on this iPhone. As you can see, the user is able to access Vo-WiFi or Voice over Wifi service using Jio’s own network. The report says that Jio is also testing similar service in states of Andhra Pradesh, Kerala, Telangana. Govt. of India and Ministry of Telecom is pushing for wider Internet reach, and expansion via WiFi hotspots spread all over the nation. This is being done under ‘Public Open WiFi’ project, wherein more than 100,000 Wifi hotspots will be installed all over the country especially in the rural areas. Network coverage in remote locations is still unstable, as telecom firms find it expensive to install network towers there. In such places, WiFi-based connectivity can work wonders. Besides, network coverage inside buildings, lifts etc can be enhanced via this technology. Users don’t need telecom operator’s signals and SIM to make or receive calls via Vo-Wifi. All you need is an app from your telecom operator who is supporting Vo-Wifi. In fact, you can be an Airtel user, and still use Jio’s Vo-Wifi service by installing their app. As seen in the image, the iPhone user in MP us using Jio’s Vo-Wifi by installing their app on his phone. This can be done by Airtel users as well, or Vodafone-Idea and others. As per the reports, the service by Jio for Vo-Wifi can be launched as soon as January 2019, in some circles. Jio plans to unveil Vo-Wifi service via their JioPhones, which makes it a game-changer. Only BSNL is the other telecom operator which has made some inroads into this new technology, and if Jio’s Vo-Wifi is launched next month, and even by March 2019, then they will definitely have the first mover’s advantage. More than 20 million JioPhones have been sold, and Vo-Wifi via JioPhone means that a new wave of Internet enabled voice calling service can be launched, triggering the next disruption. "Jio’s SIM-Less Telephony Can Launch In January; Vo-Wifi Testing By Jio Spotted", 2 out of 5 based on 3 ratings.